Looking for your christmas tree? As Christmas time draws near many people start to consider what to buy so as to decorate their homes. The Christmas tree is without doubt one of the main Christmas decorations in any home. 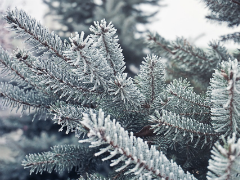 At Radway Bridge Garden Centre we can help you find the Christmas tree you are looking for to make your home nicely decorated this Christmas. Likewise, we can help you do this to your business establishment, or anywhere else you would like to decorate. At Radway Bridge Garden Centre we offer some of the widest selections of Hereford Christmas trees for you to choose from. We have made sure to cater for your needs and preferences as best as we possibly could by stocking several varieties of real Hereford Christmas Trees. 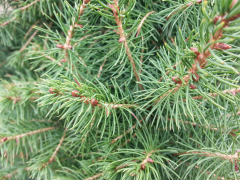 We have Norway Spruces, Nordmann Firs, Fraser Firs and Noble Firs. 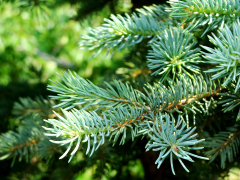 Then there are also more unconventional options such as the White Spruces, the White Pines, the Blue Spruces and the Lodgepole Pines. We also have many artificial Christmas trees available as we know that some customers prefer these rather than real Christmas trees. We have thus included a nice selection of pre decorated and pre lit trees, as well as tinsel trees. Apart from some of the most beautiful Hereford Christmas trees we also have a vast selection of Christmas lights, including LED lights, mini lights and outdoor lights. There are also various Christmas decorations to choose from as well. So this Christmas make sure you visit the Radway Bridge Garden Centre for the best range of Hereford Christmas trees you can possibly find.